82 Orchard Street Auburn, NY. 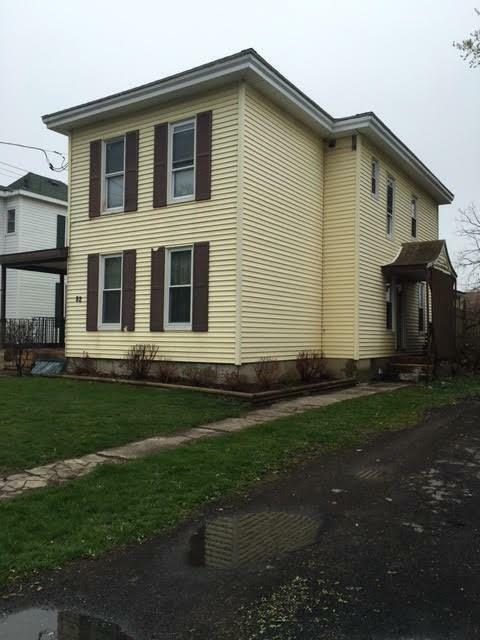 | MLS# R1171160 | Largest Real Estate Sales and Property Management Company in The Finger Lakes and WNY. Must see duplex! Meticulously updated with all new thermal windows, immaculate hardwood floors, washer/dryer hookups in both units. Downstairs 3 bedroom apartment has been completely renovated with all new plumbing and electric. Open dining and living space with beautiful hardwood floors throughout. Upstairs 2 Bedroom apartment has new kitchen floor, stove and a newer toilet in bathroom. Detached 3 bay garage has separate electric coded door openers and can be leased out for additional income. All 3 covered porches have new LED sensor lighting. Great income or Owner Occupied investment. Call today for further details!